This costume is featured in FAE Magazine! 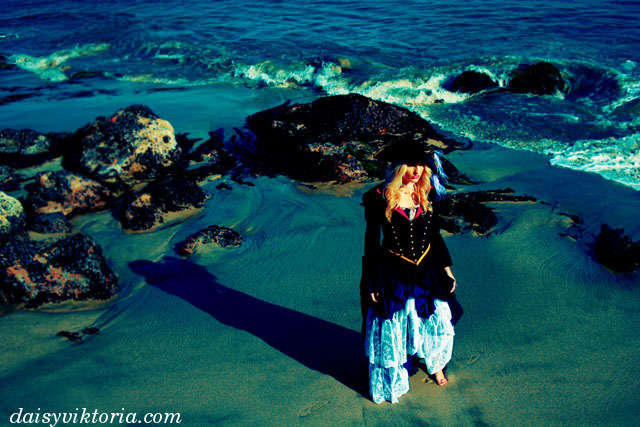 The Damsel transforms into the Pirate! 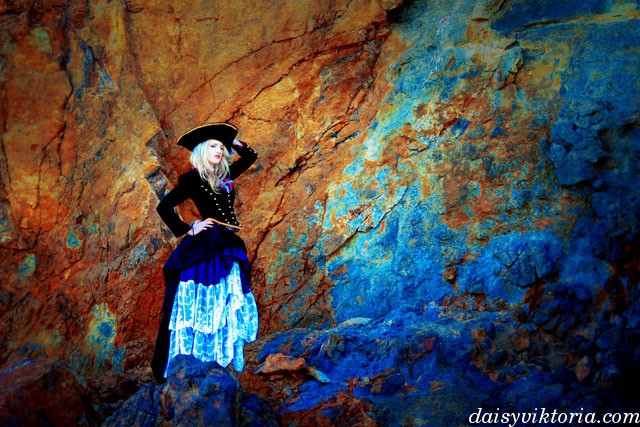 With the addition of an elegant jacket and pirate accessories, our damsel is now ready to sail the high seas!